Peels have the power to dramatically transform skin. Historically, they have also been known to irritate sensitive skin, causing uncomfortable redness and flaking. 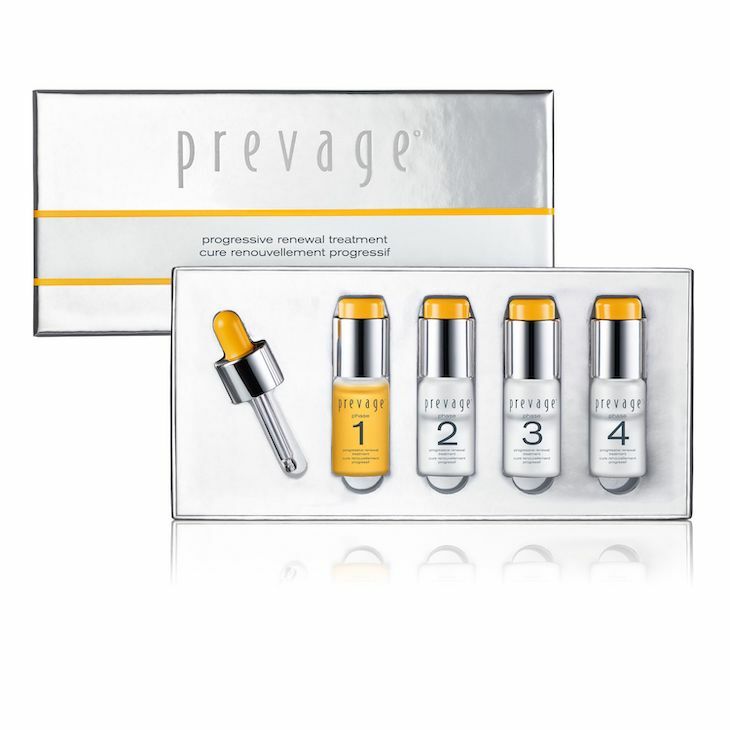 PREVAGE Progressive Renewal Treatment redefines skincare peels with a powerful four week resurfacing regimen that gently exfoliates surface skin cells and enhances natural cell turnover. 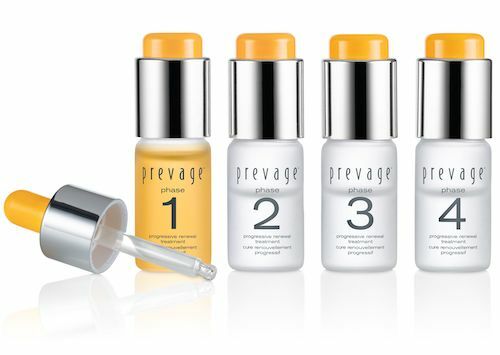 Featuring our newest breakthrough in peel technology, Polyhydroxy Acid, freshly mixed with powerful antioxidant, Idebenone, the PREVAGE Progressive Renewal Treatment helps jumpstart skin renewal and protect newly-revealed skin cells from environmental aggressors. Skin is fresh, glowing, and evenly toned. 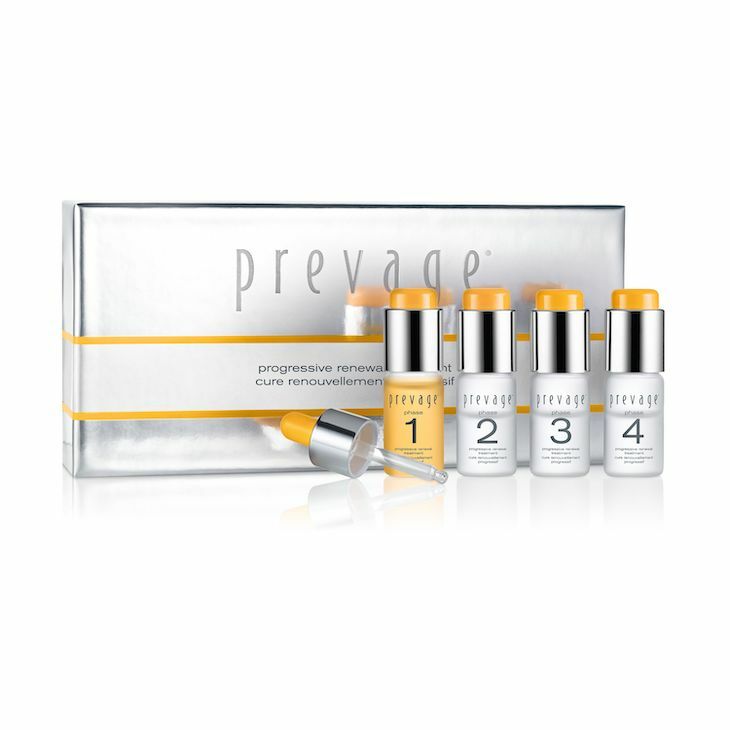 A unique system of four progressively stronger formulas supercharges Hydroxy Acids with Idebenone. Each ampoule contains a seven day supply and every week the formula becomes more powerful—optimizing efficacy and minimizing the potential for irritation. Watch the transformation, day after day, week after week for visibly diminished signs of aging in just four weeks. PHA and AHA resurface the skin as they exfoliate, gently sloughing off dead skin cells and enhancing natural cell turnover. PHA, a new age Hydroxy Acid, is game-changing for sensitive skin because its larger molecule size is less irritating and more moisturizing. Each ampoule delivers increasingly higher concentrations of Hydroxy Acids that prepare skin over time for optimal resurfacing benefits with less potential for irritation. pH buffering Phosphate Salts help maintain low pH on skin during use so that the low pH formula can more effectively resurface skin. Idebenone is a supercharged antioxidant that helps to protect against environmental aggressors that lead to the visible signs of premature aging. Starting with Phase 1 ampoule, press the button to release the Idebenone from the ampoule cap. Shake evenly until mixed, then replace cap with dropper. Smooth formula onto your entire face after cleansing and before heading to bed. Each morning, awaken to discover progressively more glowing, soft skin. Repeat daily for one week, shaking ampoule before each use, before moving onto the next ampoule, then repeat the entire process for Phases 2-4. In selected department stores around South Africa.